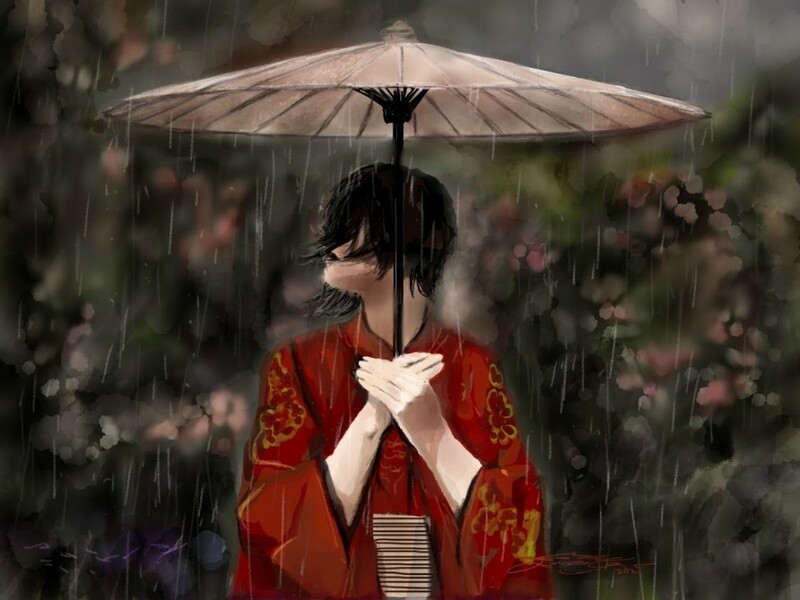 ‘Ameonna’ – or Rain Woman in English – is the title of today’s featured iPad painting. It was painted on the iPad using the Paper by FiftyThree app, by another old favorite of ours – Michael Acosta. Michael is a member of our iPad Art Google+ community and I haven’t seen him around in a while – so I’m especially glad he shared this iPad painting. You can enjoy more of Michael Acosta’s artwork at his Google+ page. And of course there are lots more incredible iPad paintings in our own iPad Art section.